Studs and Crooks uncovers the hitherto hidden history of this iconic show, which has grown from humble beginnings to become one of the biggest one-day agricultural shows in the country. Victoria, of Threshfield, Grassington, has researched and written the introduction, as well as interviewing many of the show’s key characters and personalities – people whose passion and skill have made the show the success it is today. Stories have come from farmers, Dales people and sports people, including celebrated international show jumper Harvey Smith and well-known Yorkshire chef Stephanie Moon. Dating back to 1897 and still on its original site adjacent to the River Wharfe under the magnificent Kilnsey Crag, Kilnsey Show boasts an incredible schedule of events. The highlight of the day for many is the spectacular Kilnsey Crag Race, where the country’s premier fell runners pit their wits against this explosive and incredibly steep race which traverses the perilous screes of the famous crag. The show begins with dozens of classes for sheep, cattle and heavy horses, followed by a packed programme of country skills and pursuits, including sheep shearing demonstrations, a dry stone walling competition, sheep dog trials, angling, falconry and gundog displays, as well as exhibitions of produce, horticulture and hand-crafted walking sticks and crooks. Bringing the day to a thrilling finale is the harness racing, a traditional Dales form of horse racing which bears more than a passing resemblance to Ben Hur! Also nestled within the show-ground is Kilnsey Show’s extensive Food Village, which features a Farmers’ Market and cookery demonstration theatre. Here locally renowned and celebrity chefs showcase some of the area’s best produce, including locally sourced fish and meat, cured products, pies, cakes and cheeses. 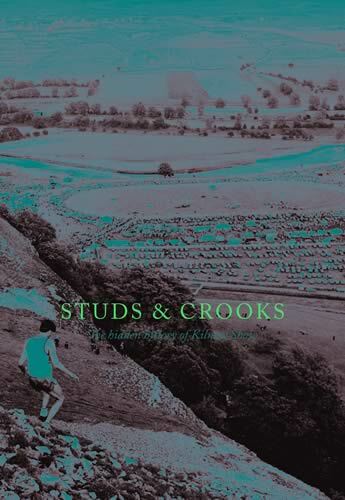 With the official launch of Studs and Crooks taking place at this year’s show – the 119th annual event – this already exceptional day-out in the Dales looks sure to become one of the highlights of the summer.